The German Air Force (Deutsche Luftwaffe) will order 3 Airbus A350 aircraft to replace its aging Airbus A340 aircraft. Reportedly, the German Government has been trying to decide between the A330 and the A350. Apparently, now the decision has been made in favor of the A350. Germany’s Air Force is replacing its A340s with A350s. Photo: Airbus. The German Air Force, more specifically the “Flugbereitschaft” (Executive Transport Wing of the Federal Ministry of Defense), is responsible for transporting the chancellor and other high-level governmental and parliamentary officials. The Flugbereitschaft’s current fleet consists of 2 Airbus A340-300s, 5 Airbus A310s, 2 Airbus A319s, 1 Airbus A321, and 4 Bombardier Global 5000s. In addition to its aircraft, the Flugbereitschaft also operates three Cougar AS-532 helicopters. Photo: Wikimedia. Why is the German Air Force replacing its A340s? The German Air Force has experienced several issues with its two A340s, “Konrad Adenauer” and “Theodor Heuss,” lately. At the end of last year, German Chancellor Angela Merkel ended up taking a commercial flight to the G20 summit in Argentina after her A340 “Konrad Adenauer” experienced technical difficulties. More specifically, the crew had to return to the airport in Cologne, Germany, for an emergency landing due to an electrical fault. The situation was described as “serious” by Angela Merkel. She arrived late to the summit. Consequently, her meeting with President Trump had to be postponed to a different day. Last week, Germany’s President Frank Walter Steinmeier was stuck in Addis Ababa, Ethiopia, for a few hours. This time “Theodor Heuss” experienced some problems. The APU would not start at first, but Air Force technicians were able to get it started eventually. The German Air Force is ready to replace its A340s due to ongoing technical difficulties. Photo: Wikimedia. These are just two of the most recent technical issues that have been scrutinized by the German press. All in all, the incidents have been rather embarrassing for the German Air Force. Furthermore, both aircraft are almost 20 years old. The German Air Force purchased both of them from Lufthansa and has operated them since 2011. 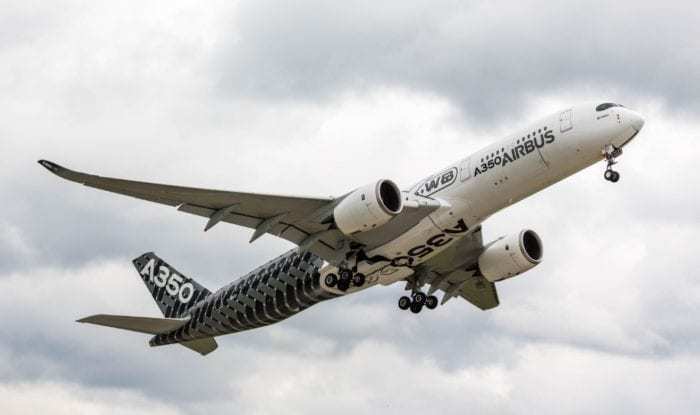 When are the A350s expected to enter service? Even though the first aircraft will be delivered later this year, it is not expected to enter service until 2020 or even later. The aircraft will be delivered in a standard commercial layout. Accordingly, it will have to be retrofitted to meet the demands of the German Air Force. In its VIP configuration, the aircraft will feature conference rooms, bedrooms and bathrooms, as well as advanced communications and self-defense systems. There is a chance that the interior work will not be completed until 2022. The cost of an A350 is about $280 million. Additionally, the cost for the retrofit is estimated at $100 to 150+ million per aircraft. It is very likely, however, that the German Air Force will purchase a cheaper prototype. Germany’s Air Force will be the first air force to operate the Airbus A350. 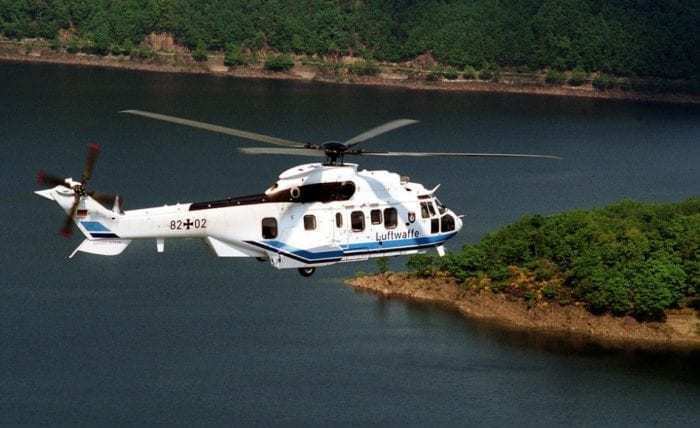 It will be interesting to see if other countries will also purchase the aircraft to transport its government officials. Do you think the A350 is a good choice for the German Air Force? The governments of Qatar, Kuwait, UAE use the B747-8 which is larger than the B747-200 that the American government uses. Even their previous B747-400s are larger than the American B747-200. The 330 has earned quite a reputation for its reliability and operational efficiency so why buy a much larger and expensive aircraft when official flights are not known for transporting sizeable number of passengers, quite the opposite. Airbus 330 consumes more fuel and does not have the same range as the Airbus 350. The Airbus Corporate Jet 350-900 will give more range, generate less emissions and give a non-stop flight to just about anywhere on Earth. The A350 should be an excellent aircraft for the Luftwaffe’s VIP transport. It shows off the latest product of European aeronautics industry. Sure, the A330 is more tested and the A380 would be more spectacular, but the A350 really is the most modern, and the extra-wide body will allow for better conference rooms and bedrooms. Looking forward to it. 2) Fuel efficiency for what the Airbus 350 is known for, which is even less on a VIP payload. 3) Direct flight to just about anywhere on Earth, saving a stopover which costs the aircraft owners landing & parking fees. On a VIP payload fuel consumption is less, so a direct flight just about anywhere is possible. They should probably order the ACJ350-900 and then add on additional security equipment. Otherwise customly re-configuring it will add to costs. The Airbus Corporate Jets (ACJ) already come in VIP configuration.